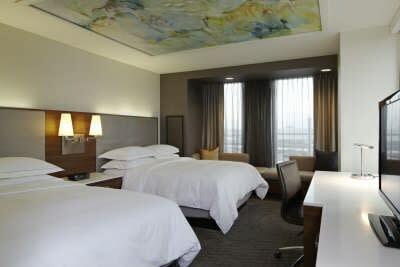 The AAA Four-Diamond Hilton Columbus Downtown is the 2014 recipient of the highly coveted Connie Award, Hilton Brand&apos;s premier and most prestigious recognition for service and quality. The award is given to the hotel with the highest overall combined ranking for loyalty, service, condition and cleanliness. In the Fall of 2012, arising at the crossroads of the Columbus entertainment and business districts, the hotel reflects the unique spirit and energy of the city. 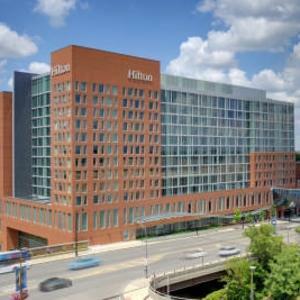 The Hilton is located adjacent to galleries, boutiques and restaurants in the trendy Short North Arts District, the culinary delights of the North Market, the entertainment and sports complexes of the Arena District and the business center of the Downtown Area. The hotel is directly connected by a pedestrian bridge to the Greater Columbus Convention Center. The 532-room hotel features a sun-filled glass-roof atrium, world-class meeting space with direct access to the Greater Columbus Convention Center via the enclosed skyway, a health club with indoor pool, business center, 48 suites and the Gallerie Bistro and Bar in a contemporary and stylish setting with an extraordinary art collection. 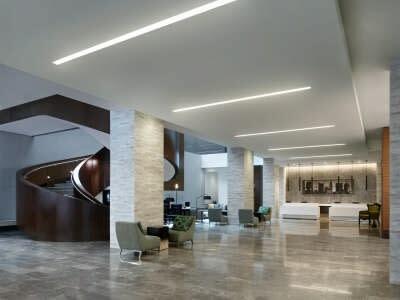 For the Hilton Columbus Downtown, receiving the Connie Award is yet another milestone and something they have been striving for since opening.